A butcher turned design student is making a killing by transforming dead animals into stationery and selling them online. Jack Devaney, 22, a 3D design student at Plymouth University, uses the bodies of mice, moles, and squirrels to make pencil cases, sold at around £35 ($43). He is also selling bookends made out of rats for £20, and a bookmark made from a rabbit for £35. 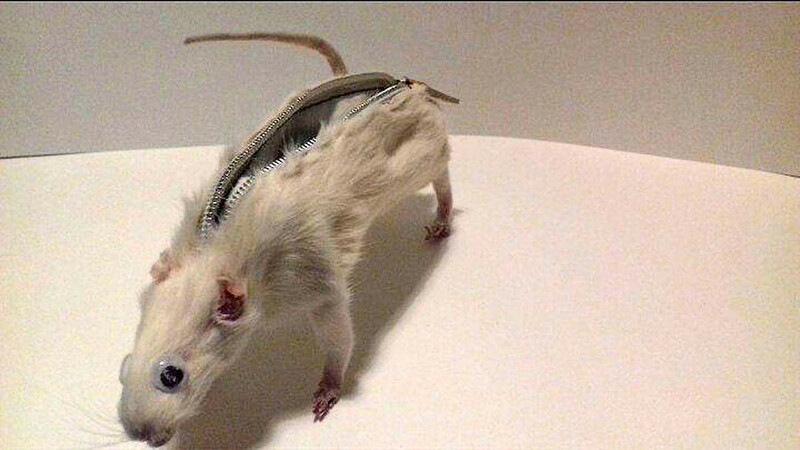 Devaney first posted a picture of one of his designs, made from a dead rat, on image sharing site Imgur last week. Since then, the picture has been viewed more than 500,000 times. The goods have generated plenty of interest, and are selling as far away as Norway and the US. “There’s been a varied response. The average posts range from ‘this guy is a nut job’ to ‘where can I get one,’ but I’m always polite when I’m responding,” he told the Plymouth Herald. Having worked part-time as a butcher for many years, Devaney has turned his hand to “making daft stuff” after seeing a funny picture of some bad taxidermy online. Devaney says his animals are “ethically sourced” from pest control and estate managers. Devaney is not confident the project is viable long-term. “You’d have to be a nutter to think you could make a living out of this. Some people have suggested my work is satirical or that they have a deeper meaning but they are just daft. “The mole for instance, it’s got these weird hands that are bent the wrong way and the only thing they can hold are a spear or a wizard staff. “Once I made him the spear, he needed a helmet too, so then he became a medieval pikeman.